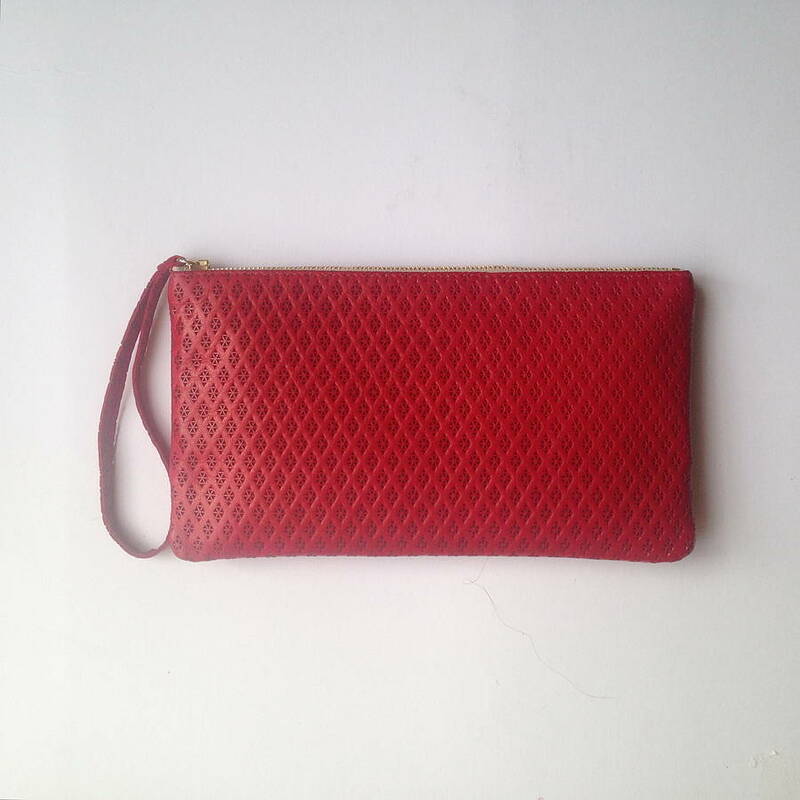 The Monmouth clutch is made from red glove leather that has been produced at an English tannery and embossed with a beautiful diamond print. The glove leather is super soft and tactile making the Monmouth beautiful to hold. It is lined with Liberty fabric and has a pocket inside to store cards. The clutch is ideal for special occasions or can be used as an everyday accessory. It's great as a travel case and easily stores a passport and currency. Alternatively, it can be used to store make-up. This product is dispatched to you by Rachel Orme.